Annuals are wonderfully useful plants. Annuals quickly give a new garden a feeling of maturity and more mature gardens can benefit from the extra touches of interest that they can provide. The whole reason for being for annuals is to grow to their full size, set seed and then die in a year. To ensure survival into future years they must work hard to provide seeds for next year. This means that they tend to produce masses of flowers, however once those flowers have died and set seed, then an annual can think that its job is done and stop producing flowers. During the summer, it is down to you to fool into thinking it is not safe, by continually dead-heading it and therefore stopping the seeds maturing. Toward the end of the year, you may wish to let seeds set so that you can collect them for your own use the next year. Whilst annuals can normally be grown from seed, this can be quite daunting. Fortunately, it is now possible to buy young plants which can be grown on. They are more expensive per plant than seeds, but are more likely to reach maturity, and did you really need 200 of a particular plant anyway? However, if you choose to grow from seed, you will have more choice as to the variety you have in your garden. 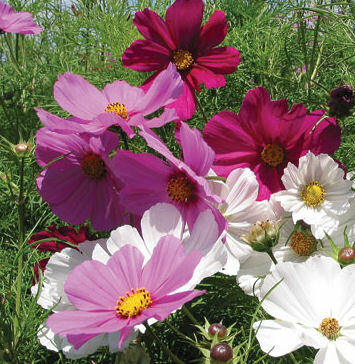 Cosmos – A wonderful plant that flowers its socks off and can really fill up empty spaces. Lovely feathery foliage complement the profuse flowers. Fuchsia – Not technically an annual as they can be got through the winter with quite a lot of care, but I never bother. I just replace every year and have the fun of choosing which ones I want each year, there is such an amazing range of colours available. Flowers can range from very simple to the totally showy – it is your choice. I grow my fuschias in pots as I want to enjoy them a little closer to my level, so cannot vouch for how dogs would get on with them planted in beds. 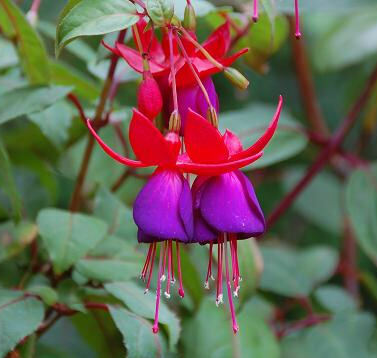 Note – it is also possible to get hardy fuschia, but although I have tried them, I have never mananged to get them through a winter in my garden. 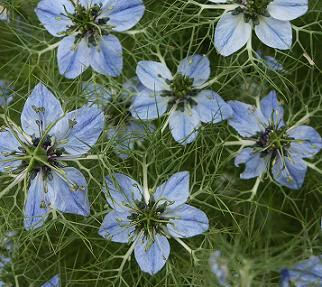 Nigella – Once you have nigella, it is unlikley that you will ever get rid of it as it self seeds. I haven’t found the seeds moving too far from the location of the original plant. Due to cross polination, it is quite likely that the colours in future years will vary slightly from the colour you started with, it is part of the fun of breeding your own plants – even if you didn’t plan the outcome. This is a really easy plant to grow and enjoy. 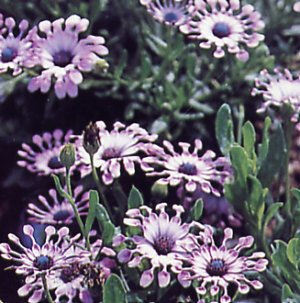 Osteospermum – A South African plant that can be overwintered in UK in mild years. The flowers open and close with the sun. The leaves form a small mound near the ground and the flowers tower up above. While many have daisy like flowers, some plants have these “whirlygig” flowers. 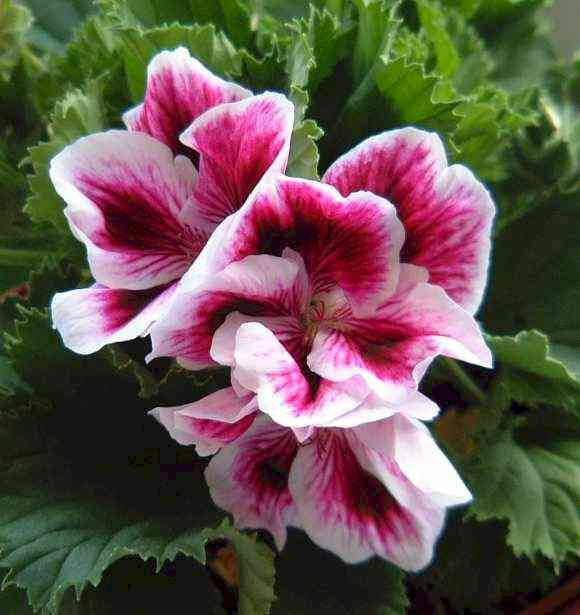 Pelargoniums – What many people call Geraniums, but they are not hardy unlike the true Geranium. There are many forms available from the type typically seen in Alpine villages to this Regal form. Like Fuschias, Pelargoniums can be overwintered with some care.